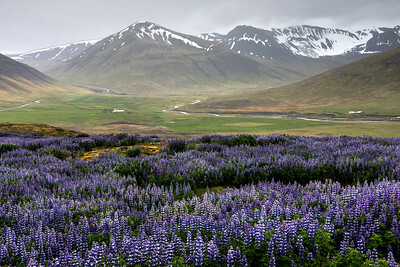 A field of lupines in the mountains of the Westfjords, Iceland. 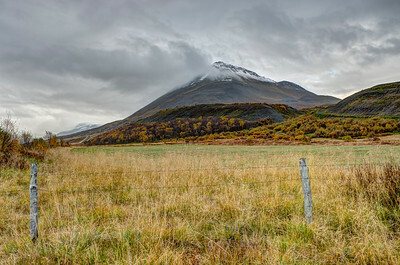 Beautiful fall colours in the mountains outside of Akureyri in the north of Iceland. 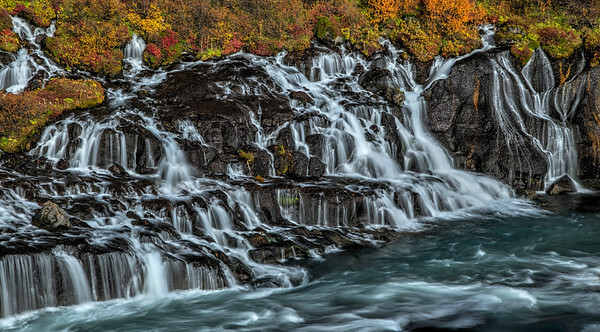 Beautiful fall colours in the mountains outside of Akureyri. 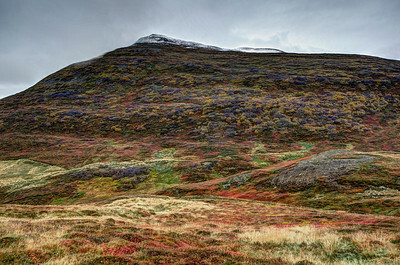 Beautiful fall colours in the mountains around Akureyri. 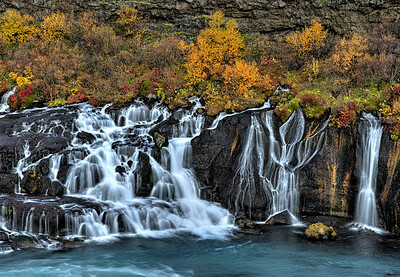 Hraunfossar is my favourite waterfall in Iceland. 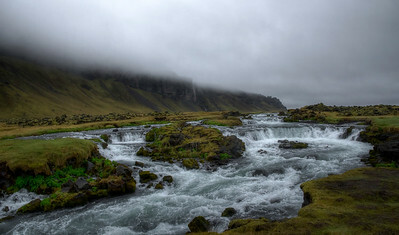 It's unique because the falls are fed by underground rivers, giving the illusion that the water is coming right out of the lava. 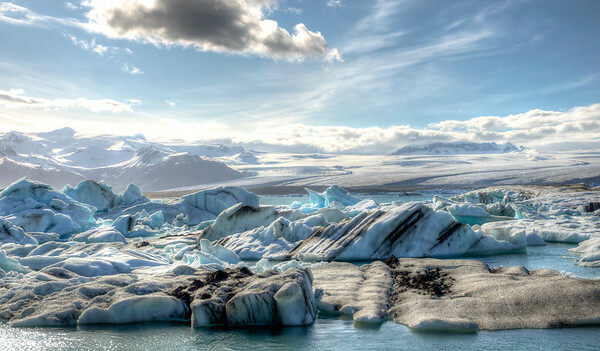 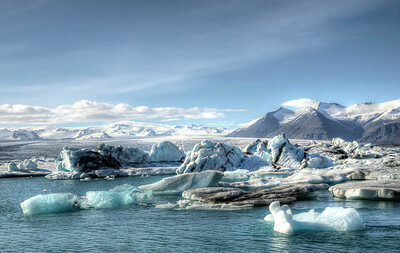 Jokulsarlon, the glacial lagoon in Iceland. 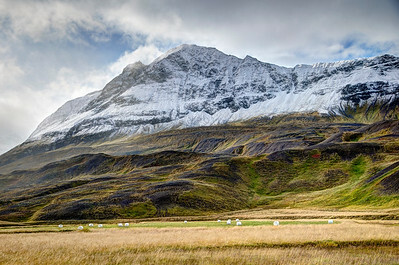 This is such a typical Icelandic scene - sheep, a winding river, sloping hills, and a snowy mountain top. 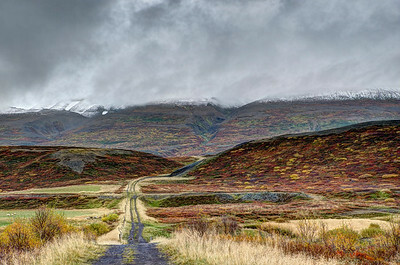 In Iceland, it seems like there's something beautiful around every bend in the road. 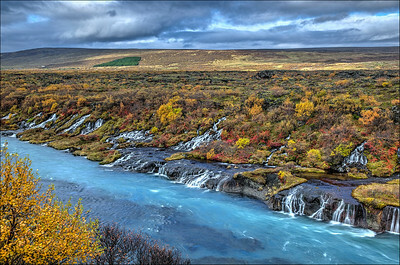 This river we happened across is a perfect example. 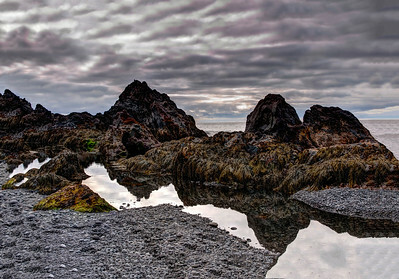 Seaweed-covered rocks on the beach at Djupalon beach in Iceland. 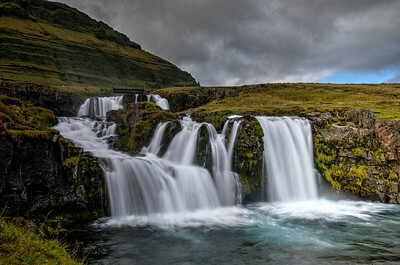 The extremely recognizable and very popular mountain Kirkjufell is usually the photographic focus of this scene with the waterfall in the foreground, but I just loved the layers of the falls. 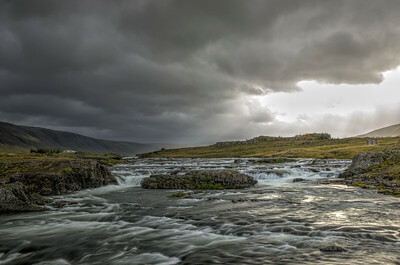 Another example of rounding a bend in the road and finding a scene that just begs to be photographed. Vik is my favourite spot in Iceland - and that's saying something, since I'm in love with the entire country. 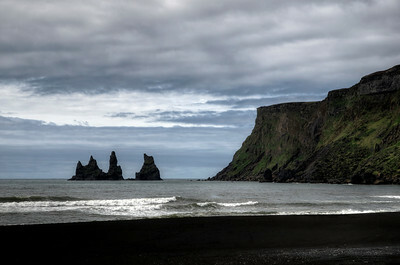 One of the feature attractions in this little village (the southern-most village on mainland Iceland) are these sea stacks off the black sand beach. 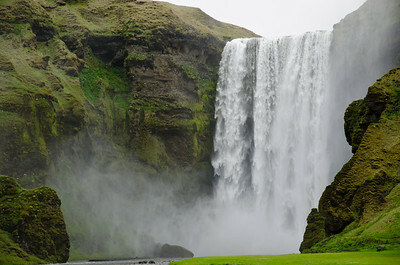 One of the most famous - and powerful - waterfalls in Iceland, Skogafoss. 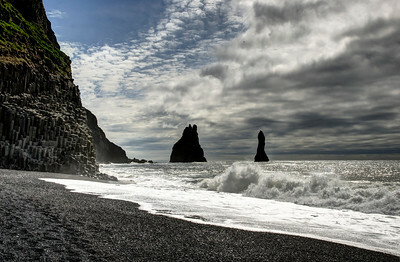 Reynisfjara beach provides a beautiful view of the Reynisdrangar sea stacks. 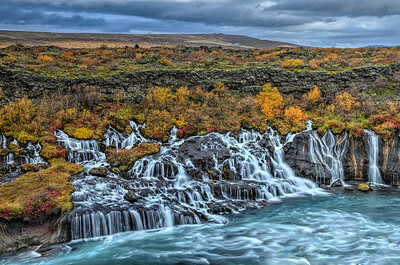 You can also get up close and personal with the spectacular basalt columns along the cliff face. 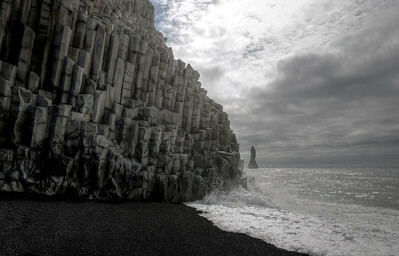 The incredible naturally-forming basalt columns on Reynisfjara beach, with one of the Reynisdrangar in the background. 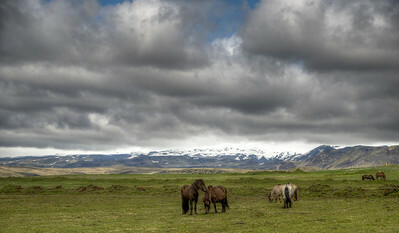 A small herd of Icelandic horses near Reynisfjara, in Vik. 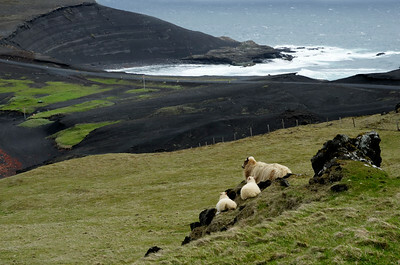 These Icelandic sheep don't seem to have a care in the world as they appreciate the beauty of Heimaey, in the Westman Islands, south Iceland. 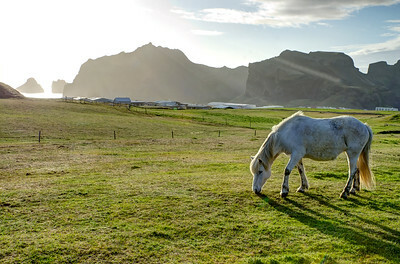 An Icelandic horse grazing on the beautiful island of Heimaey in the Westman Islands.